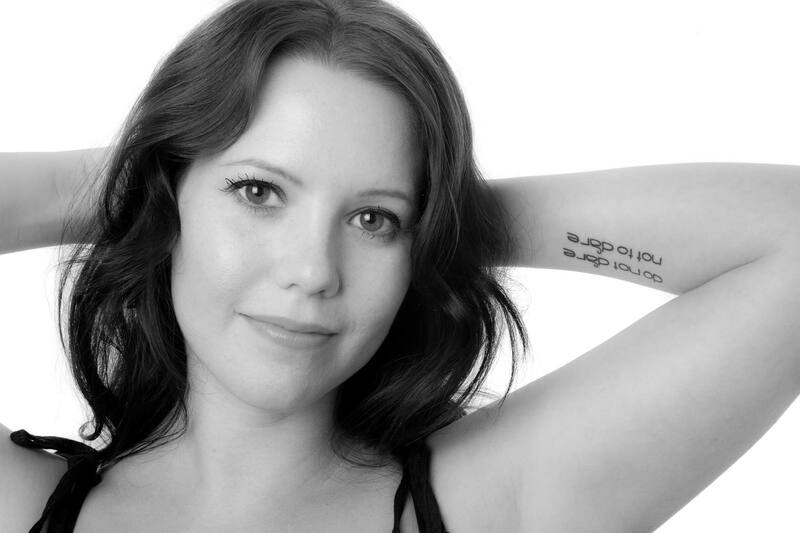 A jazz singer and photographer, Sarah Mica recently got a tattoo on her left arm. It's a quote from "A Horse and His Boy by C.S. Lewis", "Do not dare not to dare."